One of the strategic objectives at Denver International Airport (DEN) is to invest for sustainability – throughout the airport’s operations, in its facilities and in the community. This focus on environmental, financial and social sustainability has led the airport to invest in electric vehicle charging stations for both its employees and the traveling public. 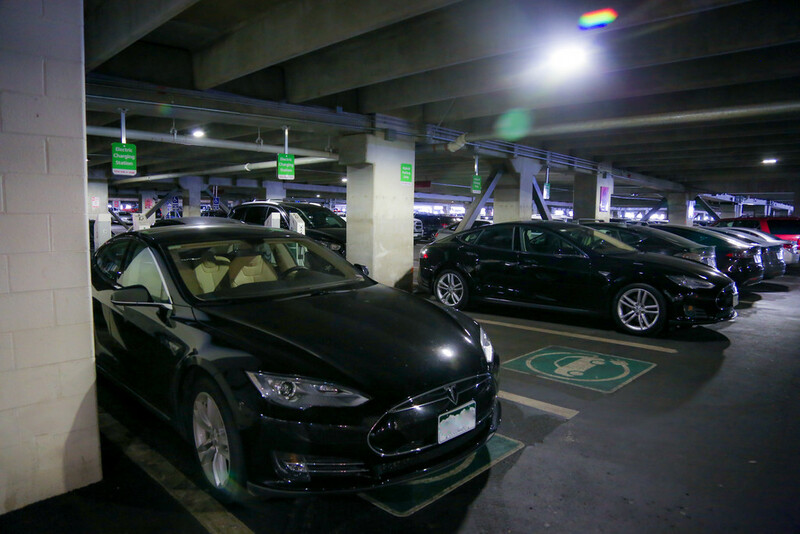 The stations are all free to use for visitors who pay to park in the airport garages, and each spot is clearly marked with signs and pavement markings indicating those spaces are reserved for drivers of electric or plug-in hybrid vehicles. The amount of time that a passenger can park at one of the airport’s charging station spaces is unlimited, and the spaces are first-come, first serve. 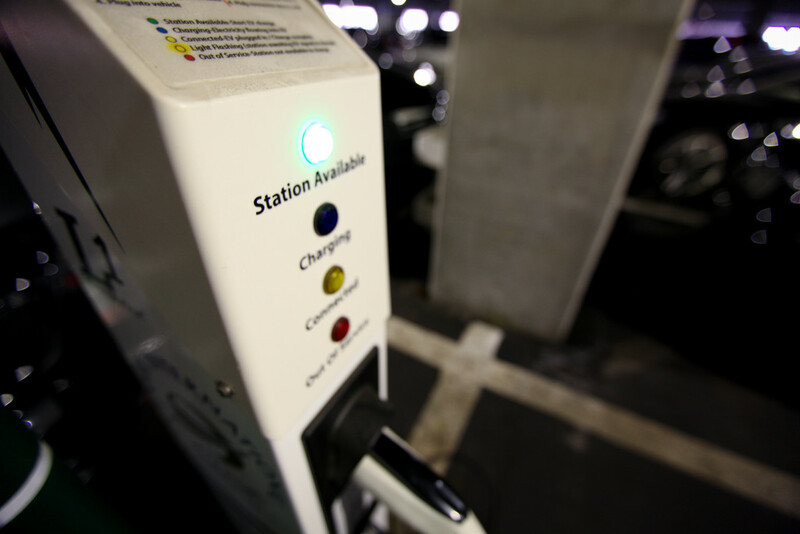 The airport first installed a total of 10 level one charging stations in both the east and west parking garages in 2013. 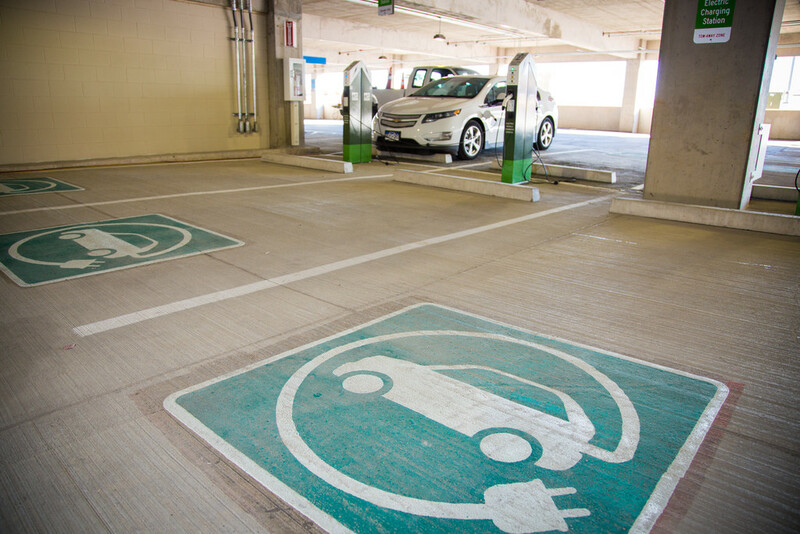 That initial $85,000 investment was made in part using a $32,600 grant from the Charge Ahead Colorado Electric Vehicle and Charging Station grant fund program within the Regional Air Quality Council and the Colorado Energy Office. At the time, the installation was one of the first major public installations of commercial level one stations in the country. The airport initially selected level one stations because people tend to stay longer in the parking garages and can be assured of a charged battery when they return from their trip. The stations proved to be so popular that the airport decided to add an additional 10 charging stations in 2015. Those stations, located in the west garage, were the first level two charging stations at DEN and use 240-volt infrastructure and provide up to 20 miles of range per hour of charge time. Those spaces are a good choice for drivers with shorter visits to the airport for picking up family or friends. The airport also added five, level two charging stations for airport employees who park in a separate, non-public facility. With several other additions over the last few years, the airport now offers a total of 41 electric vehicle charging stations, including 15 level-two locations. And, the total number of charging stations will soon jump to 52, as the airport is installing 11 new, level one stations at the parking lot at 61st and Pena Boulevard – adjacent to the RTD A Line rail stop. That parking lot is expected to open later this year. Access to those new stations will also be free with a paid stay in the lot. The airport plans to continue to evaluate new and emerging technology that serves electric and hybrid vehicles, both for its own fleet use and for travelers.